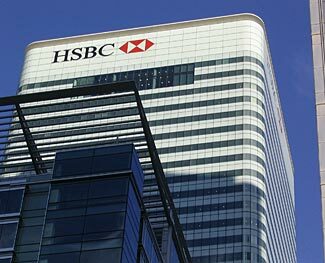 The giant multi-national HSBC banking group doesn’t want to allow Britons to withdraw cash from their accounts. Here’s an interesting story, and don’t automatically say ‘That could never happen here’. But first, the story. A BBC report tells how customers of the HSBC bank in Britain (HSBC operates in the US and elsewhere in the world too) have had difficulties making cash withdrawals from their accounts. The customers have had the money in their accounts, so that wasn’t the problem, and in most cases, have been good customers of the bank and branch for many years. Their problem is that the bank has been asking them what they needed the cash for, and asking them to prove the validity of their need for cash, turning the customers away until they can return with satisfactory proof. Of course, the thing about cash is that, almost by definition, and as a Catch-22, you don’t necessarily have formal proof about what you’re spending the cash on. When asked about their actions, a bank spokesman said they were doing this for their customers’ own good – to ‘protect’ them (the customers) from possibly falling victim to some sort of fraud. They also said they weren’t obliged to tell customers in advance of this new policy, because it wasn’t a notifiable change to their previous terms and conditions Details here. Imagine yourself in this situation. You sense that things are about to get truly seriously bad, and decide to withdraw your cash while the banks are still operational, only to be told that you have to prove what you’re going to use the cash for. ‘Storing it under my bed’ would not be an acceptable reply. Think about this. We’ve previously written about how in Greece the citizens there suddenly found themselves with an unexpected tax on the money they had deposited in their bank accounts. If you owned shares, and probably if you owned bonds, and if you had assets or even cash-under-the-bed, you weren’t taxed, but if you were a ‘good citizen’ and had savings in a bank account, all of a sudden you had a new tax levied on your savings. Meanwhile, in the US, if you get 0.5% a year interest on your savings deposits you’re doing well. And your financial dealings are then a matter of official record exposed to all, and controlled by people other than yourself. Note also our several articles that suggest how money and cash will become of little value WTSHTF (we have a large collection of articles about how the economy will change after TEOTWAWKI and how best to prepare for such things). Assets and tangible things will be valuable, but not abstract depictions of wealth such as cash, and definitely not bank deposits which will quickly become impossible to access – not so much due to banks failing, but due to the failure of the bank computing systems and related support structures. And now we have to look to a future where, the same as in Britain, cash is increasingly being looked upon with suspicion, and if we seek to withdraw cash, we draw attention to ourselves and may have to explain to our bank exactly why we are doing such a ‘bad’ thing as wishing to convert our abstract electronic deposits into a slightly more tangible form. So, you really have to ask yourself the question – why keep money in a bank at all?